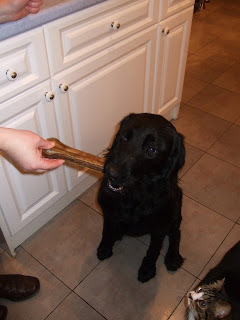 The wee black dug is two today. Two! Crivvens. I'll need to sit down and work out how much hillwalking gear she's destroyed over the last twelve months so that we can decide whether to keep her or not. 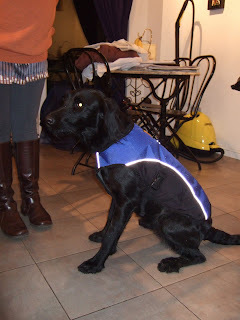 ...and a smart new fleecy water resistant coat for winter camping. Just see how happy she looks wearing it!